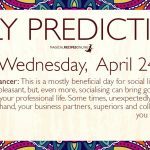 General Daily Predictions: Today, the Moon from Cancer opposes Saturn in Capricorn. It also forms a hexagon with the Retrograde Uranus in Taurus and a triangle with each the Retrograde Neptune in Pisces and with the Sun and the Retrograde Venus, both in Scorpio. 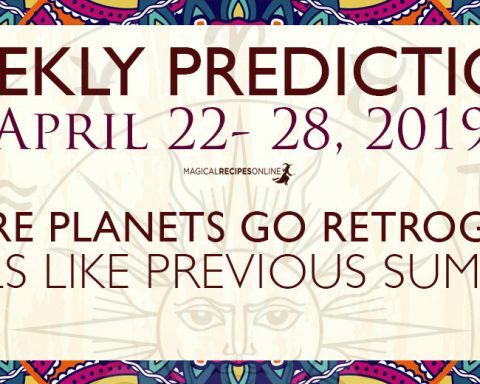 Also, today Mercury accurately conjuncts Jupiter in Scorpio. So, this is going to be a good day. Yes, the stress upon Saturn can cause a few difficulties, and if the planets were in direct motion it would be better, but, nonetheless, it is a good day. 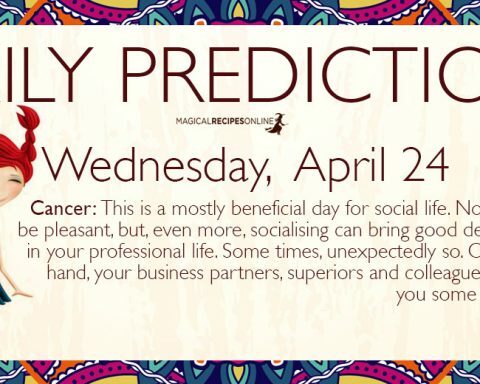 Scorpio, Cancer and Pisces will be the luckiest zodiacs of the day. Taurus, also, will be quite lucky. Capricorn and possibly Aquarius will be the less lucky ones. This can be a difficult day for career matters, especially for those working in real estate line of business, or a family business. Difficult, yes, but most probably not a bad one. 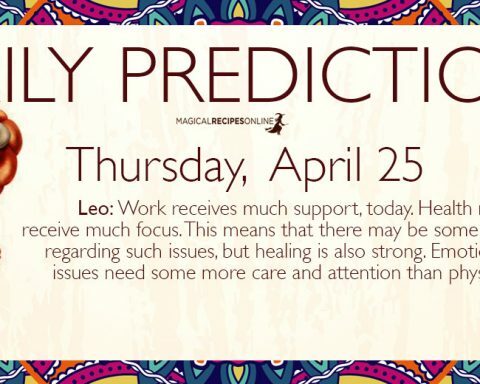 In fact, both work wise and otherwise this day can be a very satisfactory and profitable one, too. Studies can become a bit stressful today. Travelling, too. On the other hand, this can become a very productive day and a very social one. Meeting new people and finding the kind of people you were looking for are both possible. Although money is not really bad, today, it can cause some stress. 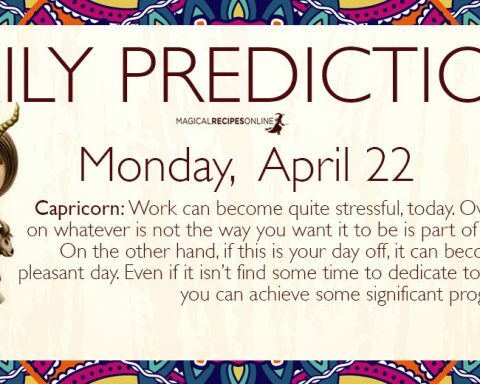 Other than that, though, the day is quite a good one for all work matters. Finding a job, for those who are seeking for one, is possible. Also, initiating your own business is auspicious. This is probably a very good day for you in all matters. Some attention may be needed when it comes to your most important relationships, but other than that, most things go as you would like them to go. Sometimes even better. 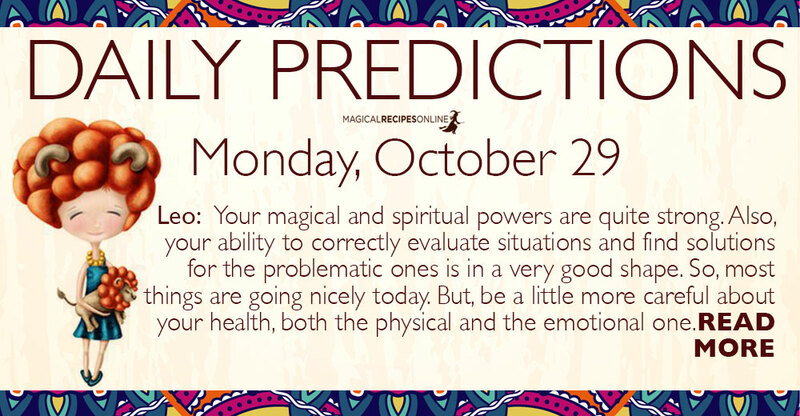 Your magical and spiritual powers are quite strong. Also, your ability to correctly evaluate situations and find solutions for the problematic ones is in a very good shape. So, most things are going nicely today. But, be a little more careful about your health, both the physical and the emotional one. Your high-tech equipment and possibly internet can cause you some unsettlement. On the other hand, trade of all kinds looks good. Studies, too. Most jobs can be busy, but in a good way, too. Finally love life, for those in a relationship, can give you more reasons to enjoy the day. If you are working in a family business, or with some family members you may face a little stress, today. Nonetheless, it’s a good day for all work matters. Money is also good. Gabling receives some beneficial influences, too, but, as always, do remember the starts don’t guarantee your winning. Travelling and transportation needs some attention and patience. Be a little extra careful when driving, and avoid unnecessary trips. Other than that, though, this is quite a good day for you, and especially for whatever has to do with matters of the heart, personal goals, and, although not so strongly, studies. Money can be a little problematic today. The way you feel about it, even more so. Other than that, though the day is a good one, even for work matters. In fact, work can provide you with some reasons to be happy, including an extra profit, where this is applicable. Both yourself and some of your important people can cause you some stress, or some form of discouragement. Do not let these feelings take over you. In fact, most of the influence you are receiving are beneficial. Love life, trade and practical learning are the most favoured. Your emotional health and well being need some care. On the other hand, work and career matters proceed well. Also, health issues of family members can have some pleasant developments. Finally, it’s a good day for taking care of your place of living, or working. This is a mostly happy and probably lucky day for you. Party-like events and excessive socialising, either in the real world, or on the internet are receiving stressful aspects. On the other hand, socialising with your other half and a few good friends is supported. Advancing in your personal goals, too. All magic is strong today. High Magic can be a bit difficult to tame, but it will be strong, too. Sun 05° Taurus 20' 52"
Moon 23° Capricorn 32' 37"
Mercury 11° Aries 45' 15"
Venus 06° Aries 16' 42"
Mars 16° Gemini 49' 52"